Drawing on her training as both architect and jeweller, Sydney designer Nina Still creates unique and contemporary works of art. 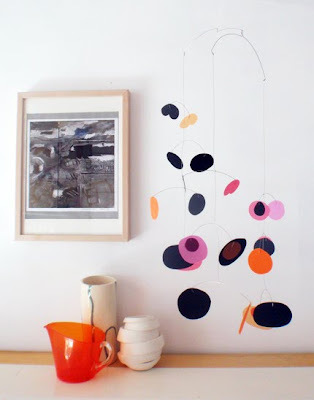 Her mobiles are kinetic sculptures that are the fusion of both her background disciplines. The name Puka-Puka is perfect for Nina's organic inspired creations - it's Japanese for 'an object gently floating in space'. 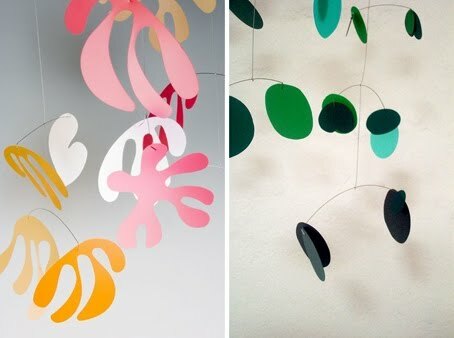 Nina says she was sick of working behind a desk as an architect so she started to make mobiles as a way to connect with nature. 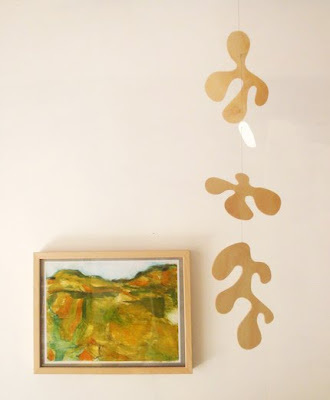 Inspired by camping tips and communing with nature both on the land and under the sea, Nina describes her creations as "meditative artwork that creates shadows, moves and sings in the space". 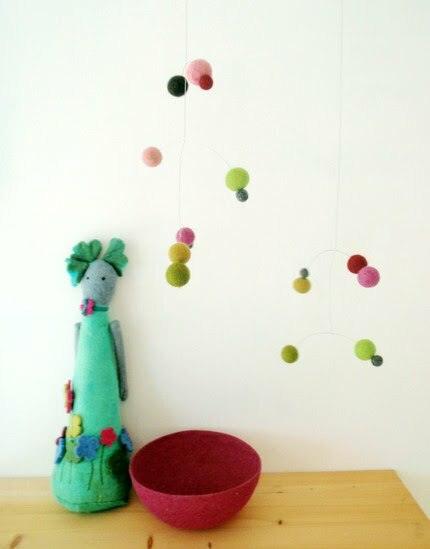 Puka-Puka's beautiful new range of Polka Dot mobiles are designed for modern nurseries... I just love those little floating felt balls and I can see them in many spaces, not just babies' rooms. 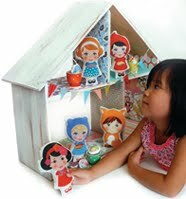 I'm thinking my office/studio might be a good place! 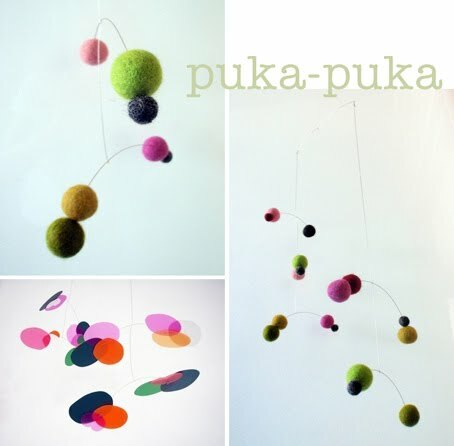 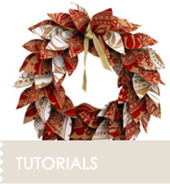 For more beautiful mobiles, visit Nina's website, blog and Puka-Puka on Etsy.